This week we chat to Josh from Essex, he voted leave thinking we would stay in the single market but he has now changed his mind and is a Remainernow. He talks about why he changed his mind and his views in the recently approved brexit deal. We mention some articles Josh has written in the podcast. 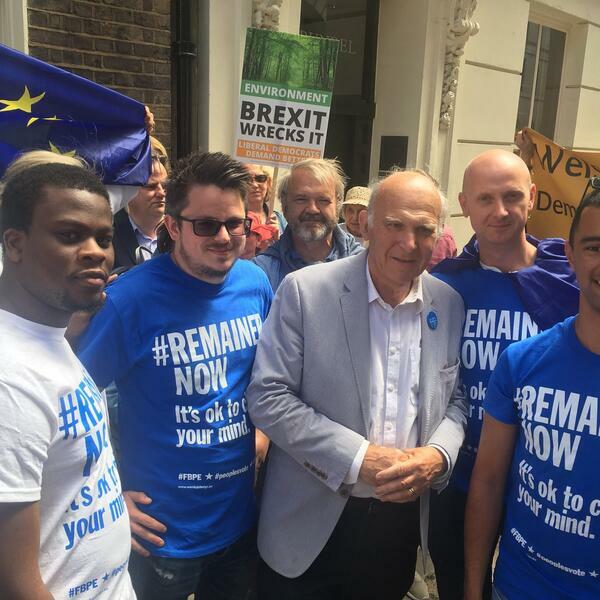 Note - Podcast image is Josh with some other Remainernow and Vince Cable at the #peoplesvote march in June 2018. Wargaming a #PeoplesVote: If we get the #FinalSay how do we win it?